When I was a little girl, between the ages of 10 and 13, I read a surprisingly large number of short horror stories of both the contemporary and classic varieties. My father subscribed to Issac Asimov’s Science Fiction, which showcased many outstanding modern science fiction writers. It also consisted of a surprising number of stories that danced on that frightening borderline between horror and science fiction. I’m sure that you are seeing something here that I’ve noticed: the covers for the Asimov periodical and the comic books showcasing short fiction area both very colorful. I had a science-fiction bookstore turn down my books because the covers didn’t “pop”. My irritation with trendy language aside (you’ll notice that the graphic artist in Frankenzombie has a boss who complains his cover doesn’t “pop”) people really do judge a book by its cover. The judgement as far as horror goes is that it’s a low-brown form of entertainment. 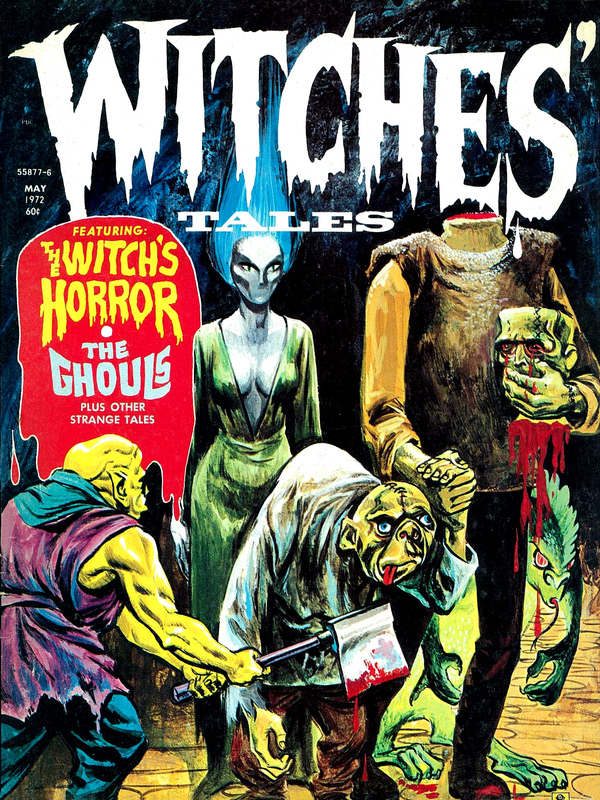 Although sites like the Classic Horror showcase listed above remind us that it has an illustrious history, many horror writers were not taken seriously in their lifetimes. H.P. Lovecraft, for example, was a pulp fiction writer who never made it into literary circles until after death: a subject S.T. Joshi’s “H.P. Lovecraft: Four Decades of Criticism” explores at length. So by choosing to write horror, I’ve made a choice to enter a realm of heavily pooh-poohed upon writing that many will never respect, even in cases where it is exceedingly well crafted. The off the cuff response will be “I never read horror” with a look as though a turd has been inserted under the nose. Yet, here I go: working on not one, but two, compilations of classic horror short length stories. By classic I mean very short: too short in many cases to be released as a 99 cent eBook one-off. The Monkey’s Paw, for instance, was seven pages in total. 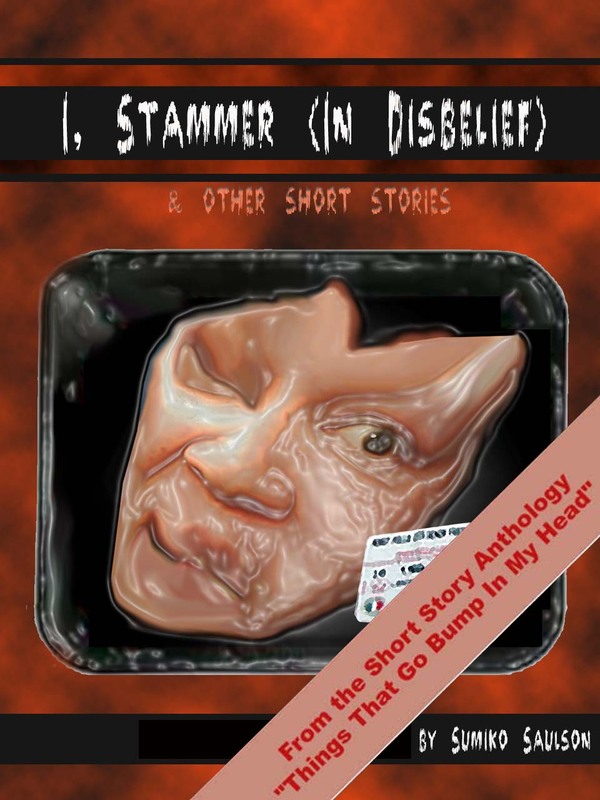 I spent some time making a spiffy cover for my short, “I, Stammer (in Disbelief)” before coming to the conclusion that it would be a similar length, and added “& Other Stories” to the cover because I realized it will never be published as a separate eBook. Lately, it occurs to me that short fiction has other venues available to it: such as the still in publication Issac Asimov Science Fiction, and the still in publication Fangoria (recently mentioned). I’m trying very hard to convince myself to have the courage to submit short stories to places like these: that way I can be taken seriously as a non-self published author. I can join the Women in Horror circle, and be among those who even qualify for prestigious awards like the Hugo Award, the Nebula Award, and the Bram Stoker Award and other awards that I have almost no chance of ever receiving, even if I do get published as a horror/science fiction/fantasy writer with a mainstream publisher. ~ by Sumiko Saulson on July 20, 2012. Thanks for finally talking about >The Horror: Short Stories | Sumiko Saulson <Liked it! hah! You’re a bot, aren’t you?